Both Designs Included in Chart! 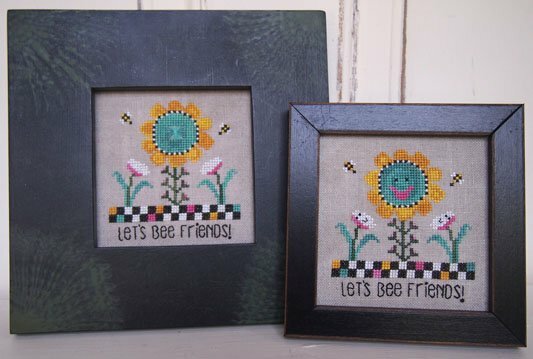 Let's Bee Friends is stitched over two on Weeks Dye Works 32 count Aspen using two strands of Weeks floss in Bubble Gum, Lagoon, Marigold, Monkey Grass, Onyx and Whitewash. Chart includes an illustration for the Rhodes Stitch. No embellishments were used. Finish or frame as desired.